A retro flavour "Super Compressor" in modern colours. Just a few months after the launch of the GMT wristwatch, UK-based Farer unveils a dive watch that continues to blend retro design with bright colours at an affordable price. And like Farer’s earlier watches, the Aqua Compressor also has a bronze crown at two o’clock that will acquire a patina over time. Available in three iterations, the Aqua Compressor Automatic features a 1970s-style cushion-shaped case with a dual crown: one for the time and another for the internal rotating bezel. 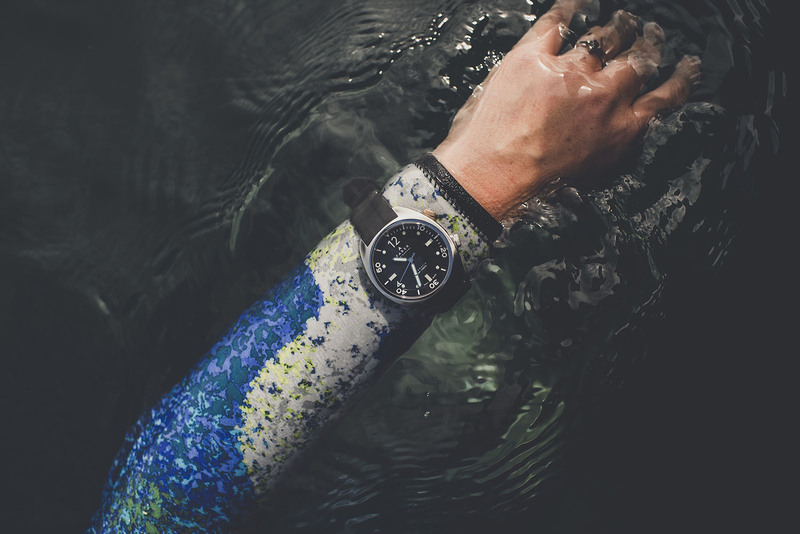 It’s a look commonly known as “Super Compressor”, after the trade name for a water-resistant watch case made by Swiss case maker E. Piquerez (EPSA) in the 1960s that was used by brands from Longines to Jaeger-LeCoultre. 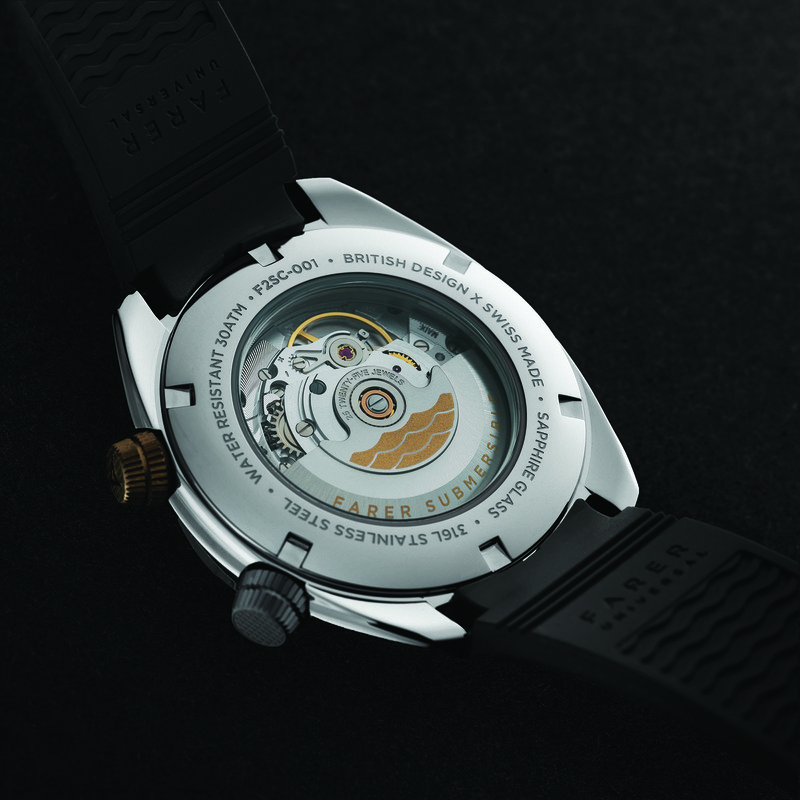 Rated to 300m/1000ft, the case construction on the Farer is similar to that on the original “Super Compressor”, with gaskets that compress at depth, increasing the water-tightness of the watch as external water pressure increases. Measuring 41.5mm in diameter, the case features screw-down crowns with crosshatching on their tops — a signature feature of vintage “Super Compressor” cases. And the case has a flat, screw-down sapphire caseback and a 2.2mm double domed sapphire dial on the front, which makes it 12.5mm thick. Powering the watches is the workhorse ETA 2824-2. And catnip to most collectors, it’s installed in its no-date configuration. 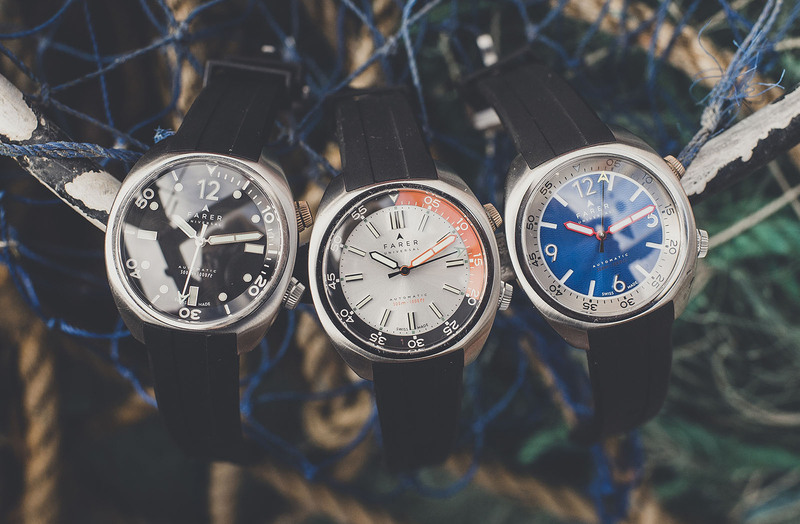 Each of the three Aqua Compressor models are named after historical research and exploration vessels of the British Royal Navy. Most restrained and faithful to the original Super Compressors, the Endeavour has a matte black dial with a black unidirectional bezel. 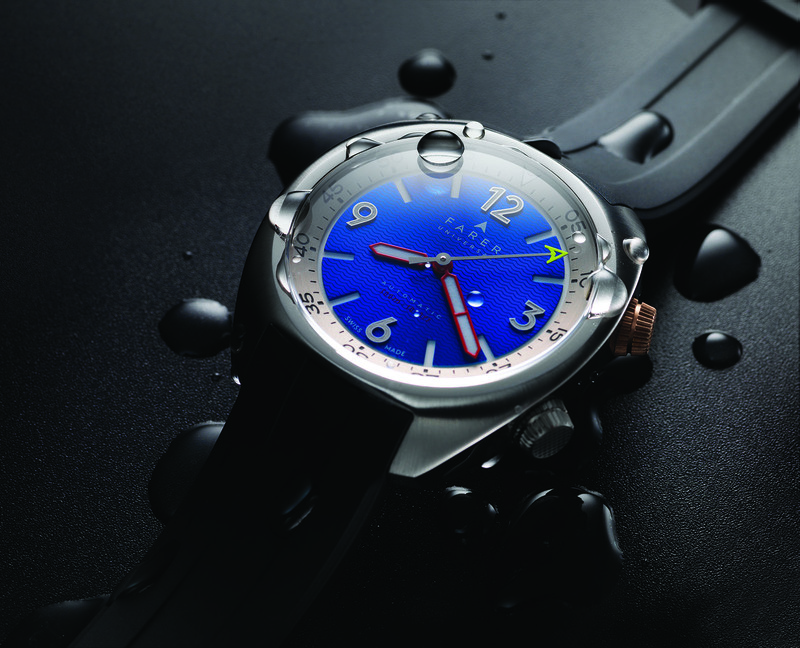 Despite the monochromatic palette, it is the only watch in the collection to feature a luminous bezel. That’s matched with Super-Luminova on the hands and hour markers. 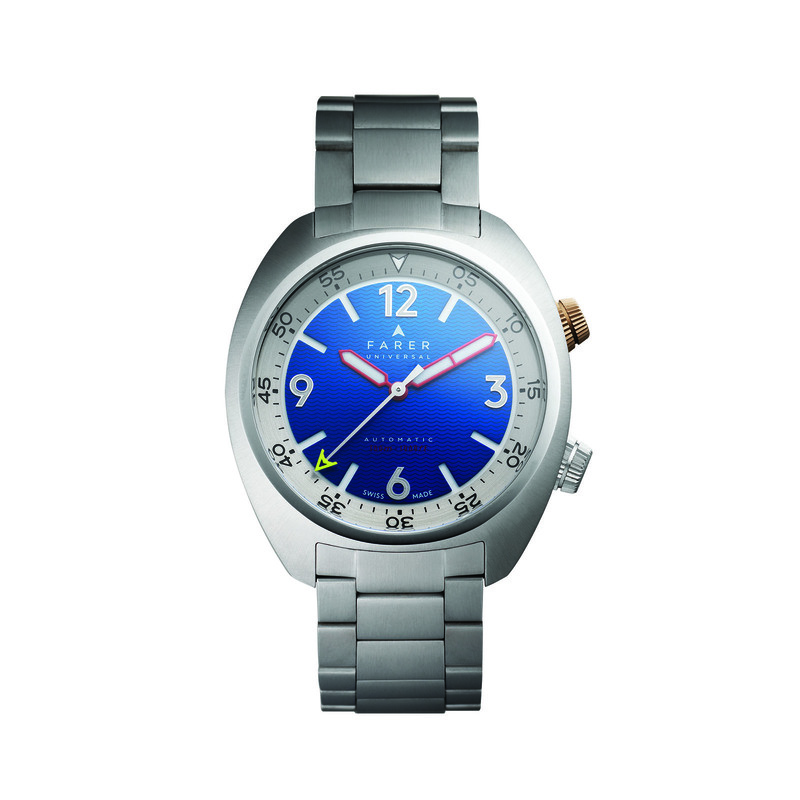 The Hecla, on the other hand, is boldfaced with a silver bezel and a three-layer blue dial engraved with a wave pattern. It features large applied hour markers filled with white Super-LumiNova and cut-out baton markers against a base of white Super-LumiNova, a variation of a “sandwich” dial construction. 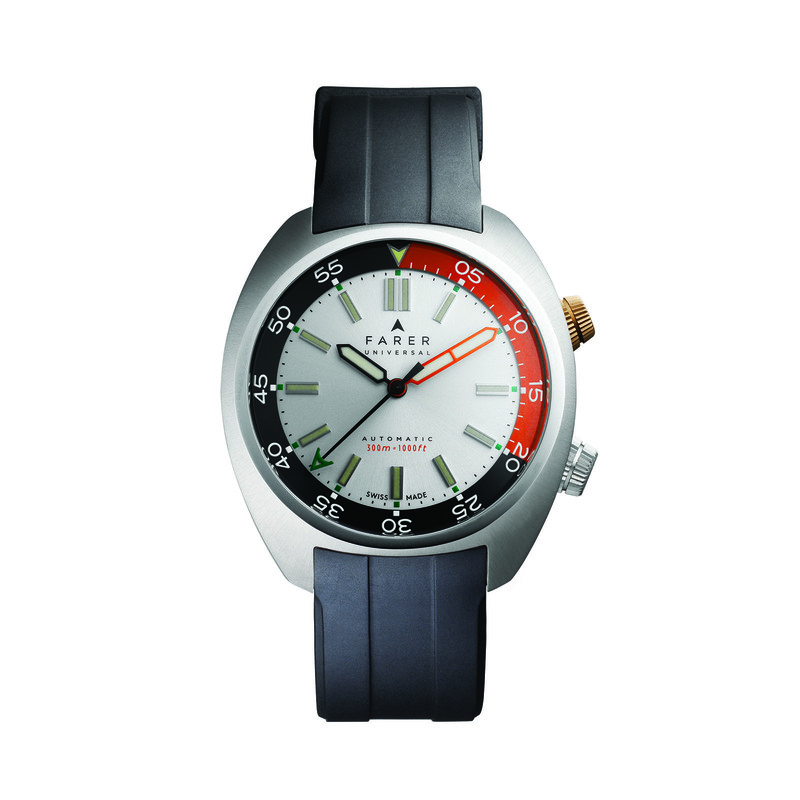 The Leven features a silver sunray dial and a matte black bezel with overprinted white numerals as well as a 20-minute scale with decompression times marked in orange. Each model is supplied with both a steel bracelet and a black rubber strap. All three watches are priced at US$1,295 or €1,225 and are available direct from Farer here.